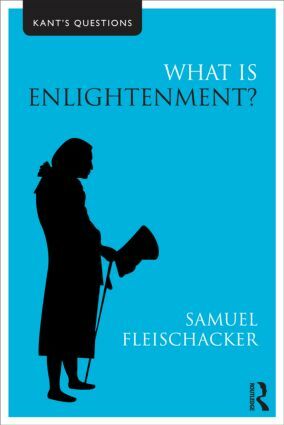 With the addition of his celebrated essay, An Answer to the Question: What is Enlightenment? Kant bequeaths us five fundamental questions that continue to resonate and challenge today. Kant's Questions explores the philosophical meaning and significance of each question. Taken individually, each book is a fresh and innovative introduction to a fundamental aspect of Kant’s thought. Taken together, the series is an outstanding resource on the central questions motivating Kant’s philosophical and intellectual outlook as a whole. Each book shares a clear structure. The first part introduces Kant’s question, explaining his own answer to it; the second part explores historical criticisms to the question; and the third and final part of the book places the question in a contemporary philosophical context. Also included are chapter summaries and a helpful section of annotated further reading at the end of each chapter. The Kant's Questions series is essential reading, not only for all students of Kant, but those studying subjects such as ethics, metaphysics, philosophy of human nature and the history of philosophy, as well as those in related disciplines such as religious studies, politics and sociology.